On the Mendocino Coast, we always have surf. Some days are definitely better than others, but we always have something to surf. We play in the surf as much as possible. 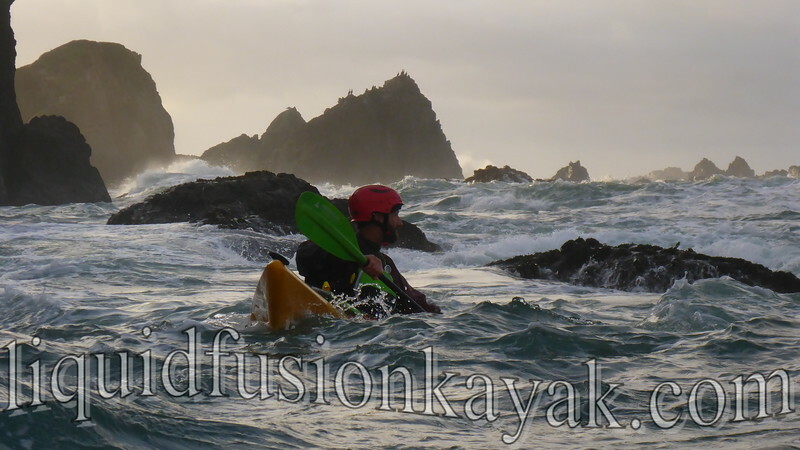 Through Liquid Fusion Kayaking, Jeff Laxier and I share our knowledge and love of the surf to teach basic surf zone classes for sea kayaks, whitewater kayaks, sit on top kayaks, and fishing kayaks. 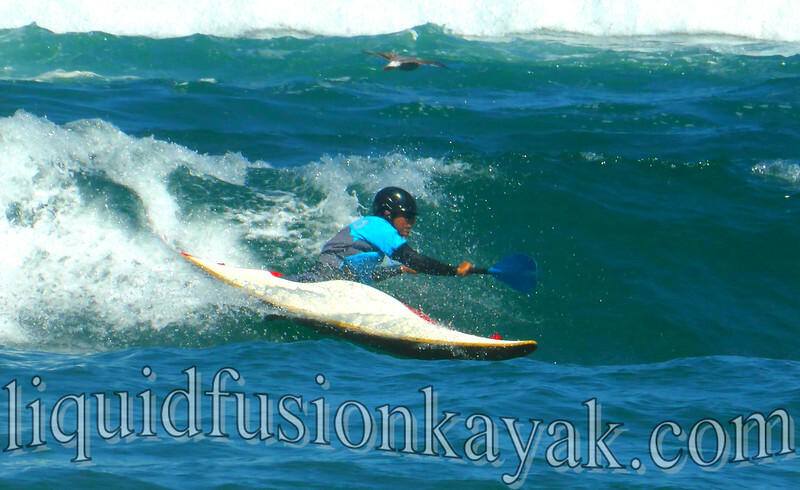 We also offer private lessons and teach Performance Surf Kayaking Classes. Below is a compilation of surf kayak resources that we share with our students. Check them out and please let us know of any other helpful surf kayak resources that we can share. 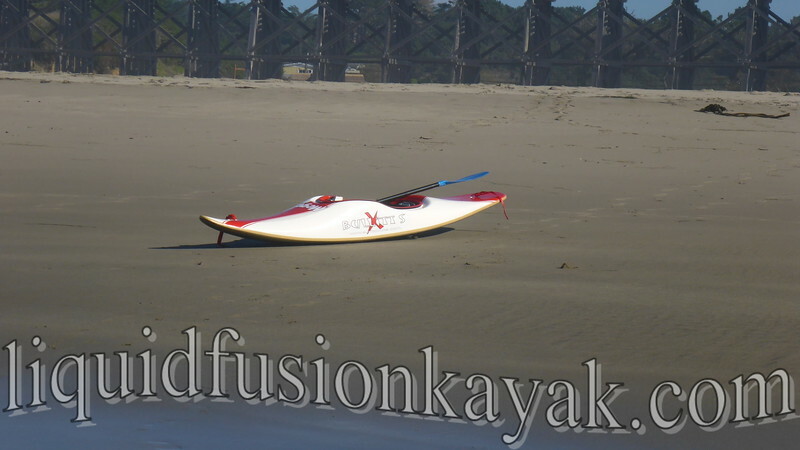 Basics - Check out Keith Wikle's Go Kayak Now blog post - Surf Kayaking Basics. This has information on what is surf kayaking and the type of kayaks used. Etiquette - Gotta follow the rules of the playground (kayakers are notorious for misbehaving in the surf zone). Surfline's Bill of Lefts and Rights is a good resource for the rules of surfing. I like visuals so check out this diagram by Robert Saunders. For an explanation of this diagram, click here. The Tsunami Rangers have some good points to consider when surf kayaking. Here is the Tsunami Ranger post on Surf Kayaking Etiquette. 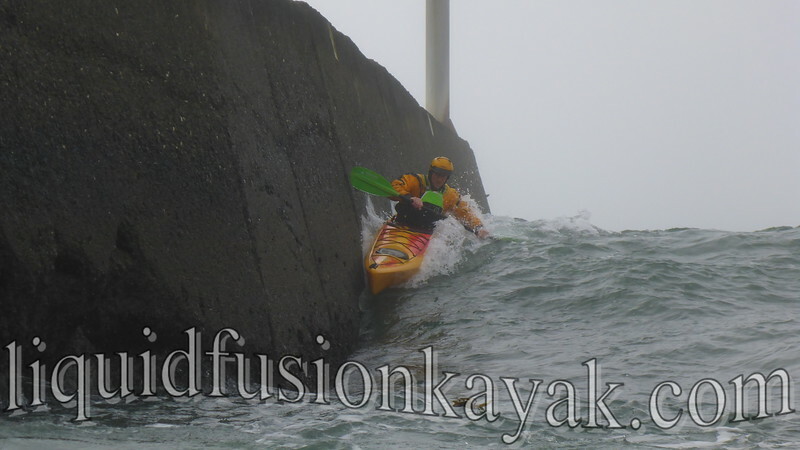 Surf Kayak Skills - Many paddlers learn to surf kayak via the school of hard knocks. Learning to surf takes hundreds of hours in the surf. A little education and skills instruction will speed along your learning. Here's a website dedicated to surf kayak skills. 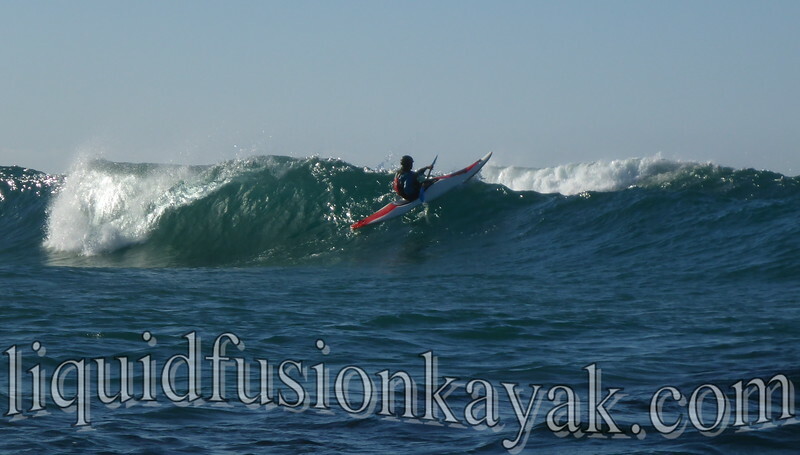 Here's a surf kayak skills video by expert kayak surfer Dessie McGlinchey. The footage is awesome. 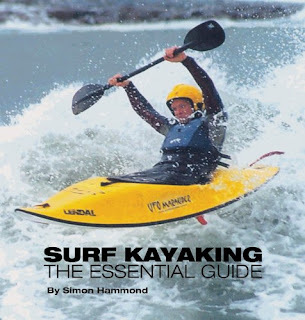 A good reference book for Surf Kayaking is Surf Kayaking: The Essential Guide by Simon Hammond. 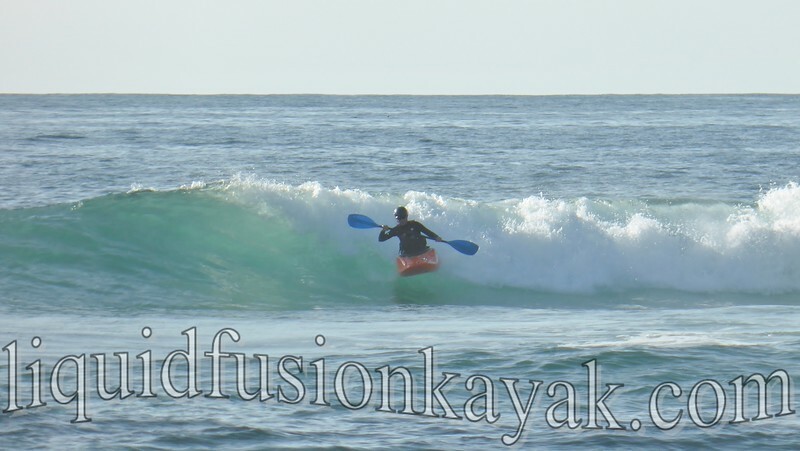 Many paddlers can catch a wave, but the best way to learn performance surf kayaking is to take a surf kayak class or lesson, then get out and surf. Another resource to help you with getting out there is the US West Surf Kayak Website. It has surf spots, classes, and lots of other information on kayak surfing. Cate Hawthorne surfing her freestyle whitewater kayak on the Mendocino Coast. Photo by Jeff Laxier. For those that don't live near the surf or get to surf enough, you too can improve your surfing skills. One way is to watch surf videos - board surfing as well as waveskiing and surf kayaking. From time to time, I post inspirational surf videos on my Facebook Page. Do you have any favorite surf kayak tips or resources? If so, please share them so that I can add them to this page. This week I got to paddle the Dagger Stratos 14.5. Dagger touts the Stratos as "A playful, sporty touring boat that makes open water, rock gardening, and ocean surf fun and exciting. The Stratos has been available in the UK for a little over a year and is scheduled to be available in the United States in 2016. It is 14.5 feet long and is available in 2 sizes - small and large. It has 2 bulkheads, 2 hatches, perimeter lines, and a drop down skeg. I think that Dagger may have found the missing link in the kayak industry. As ocean rock garden play has been gaining in popularity so has interest in shorter more maneuverable sea worthy kayaks. There have been a few other shorter sea kayaks on the market, but they miss the mark in different ways. 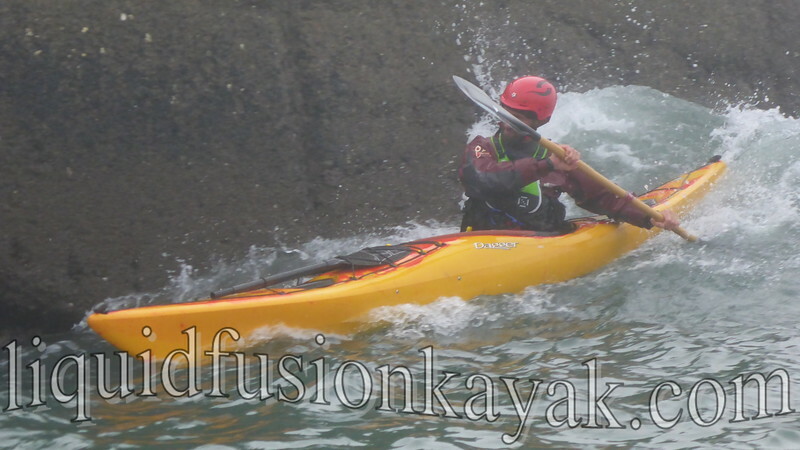 As a result, sea kayakers have been looking toward the newer longer whitewater kayaks for ocean rock garden play. The industry has responded by putting bulkheads, hatches, and skegs in their long creek racing kayaks (11-12 foot range). Many of us have enjoyed the stability and forgiving nature of these kayaks but found them to be lacking in performance. The Dagger Stratos is designed to be a playful sea kayak. 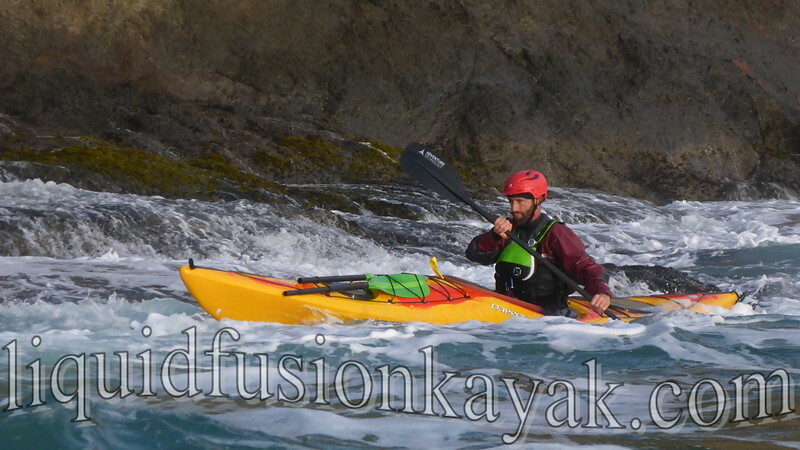 After my test paddle, I think that Dagger has the playful sea kayak that many of us have been looking for. 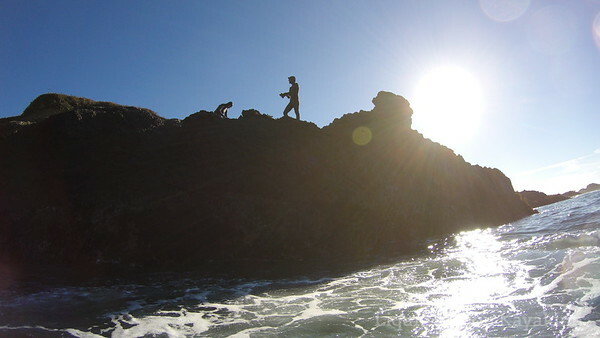 I got to paddle the small Stratos for an afternoon in the rock gardens and surf on the Mendocino Coast. I also got to see both the small and large sizes perform side by side in the capable hands of Jeff Laxier and Ben Lawry. Two words describe my impression of the Dagger Stratos - Nimble and Responsive. The Stratos maneuvered like a whitewater kayak but with better tracking. For those that like carving edged turns, it carves nicely on both inside and outside edges. The kayak is nimble yet quite stable in chaotic water. I was pleasantly surprised by how quickly it accelerated to catch waves, ride surges, and punch out through waves. Here's a short clip of Jeff surfing the small sized Stratos. The small Stratos fit without any custom outfitting. 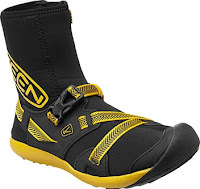 The Stratos is equipped with adjustable sliding plastic foot braces and adjustable thigh hooks. I adjusted these and hopped in and paddled it comfortably. I am 5'4" and think that the small Stratos could easily be adjusted to fit smaller paddlers. My only complaint is the long cockpit which seems to be a trend these days. For a small paddler, this creates a dilemma - Do I wear a looser fitting spraydeck that I can easily get on myself or do I struggle and sometimes require help from a teammate to get a properly snug spraydeck on? At 5"11, Jeff enjoyed the performance of the small but preferred the roomier fit of the large. Paddlers who are looking for a playful plastic sea kayak for ocean rock garden and surfzone play should definitely put the Dagger Stratos on their radar. Look for opportunities to demo them as they come out in 2016. Size choice is likely to be a personal preference as opposed to manufacturer recommendations so demoing them is going to be key. I am ordering mine this week and plan to be teaching rock gardening classes in it at Paddle Golden Gate. Stay tuned for more . . . I recently came across this quote by Leah Dawson in an article Leah Dawson Might Save Women's Surfing. I clicked on it because I didn't know that women's surfing was in danger (and I am not sure that it is). The article shared with me a new surf heroine and rekindled my fire for playing in the ocean and sharing that passion with others. Here's the video about Leah Dawson. Both Jeff and I are looking to rekindle other's passion for playing in the surf and coaching them on how to kayak surf with style and finesse. 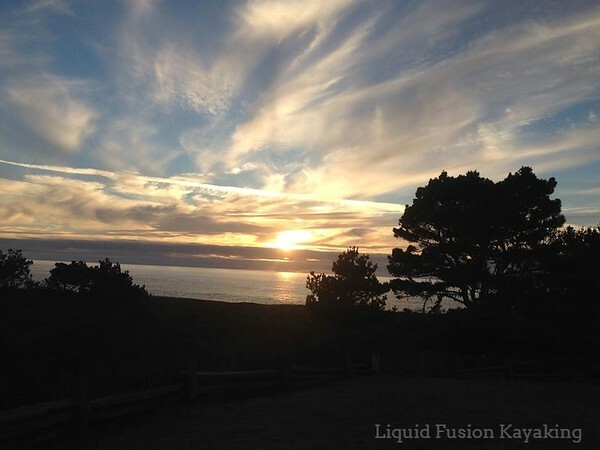 Check out Liquid Fusion Kayaking's November News - Gone Surfing. Fall is my favorite time of the year - especially at home on the Mendocino Coast. Summer is super busy and our early fall seems to have become a bit of a whirlwind too; however, when November hits, things slow down. The longer days are a welcome break for those of us who like an excuse to got to bed early with a book or snuggle under the covers a little bit longer in the morning. 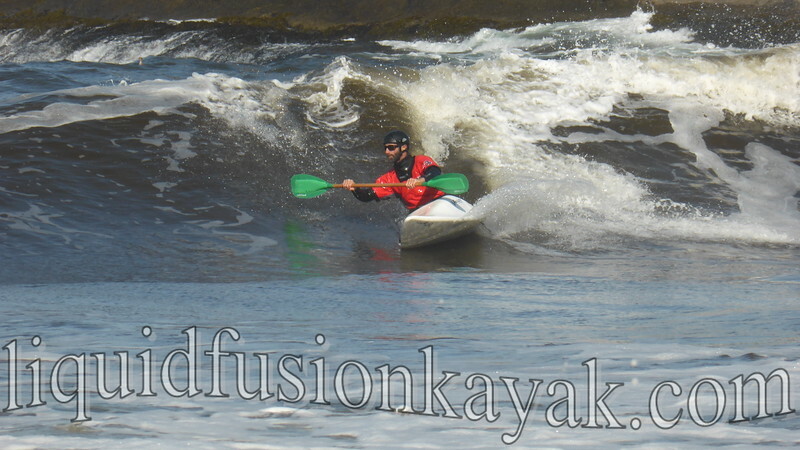 The day to day operations of Liquid Fusion Kayaking shifts from a constantly ringing phone, continuous email correspondence, and teaching and guiding to gear maintenance and repair, book keeping, website work, and planning. It is a nice change of pace. Getting out in the surf regularly is a nice change of pace as well. This summer, I managed to get out on my mountain bike regularly but didn't not manage my weekly goal of at least once a week in the surf. My hp surf boat and I are rekindling our flame and stay tuned for reports on a new surf toy in our quiver. Pace is a bit of an issue these days on mountain bike rides. We are working on finding the balance between riding for exercise and riding as a means of transportation to our mushroom spots. 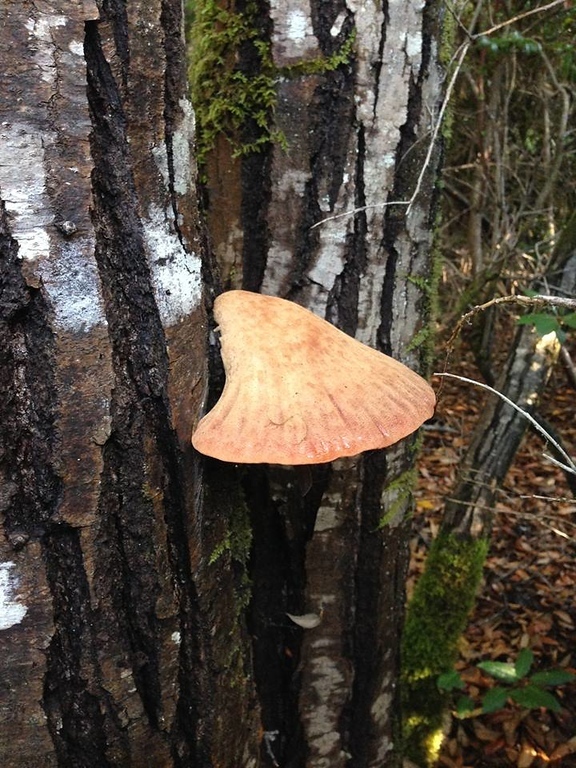 California is still dry so mushroom season has been off to a painfully slow start. We have been longingly checking our spots and settling for buttons and seeking out less common (yet delicious) species. Beefsteak! One of our favorite mushrooms on the Mendocino Coast. Speaking of delicious . . . fall is a time of harvest on both sea and land. Dungeness crab season has been delayed, but we still have the month of November to get abalone. A kayak is a great way to get abalone; however, so is coasteering. Sometimes it is nice to travel light and not deal with the effort of loading and unloading kayaks and the associated gear. With the proper equipment (where we live a warm wetsuit and hood), swimming in the ocean is a blast. This year, I got a new wetsuit. It is warm and comfortable and has gotten me into the water more. As fall progresses, I plan to catch up on some gear reviews and definitely will be raving about my new wetsuit. I have a notion that I am going to do a series of gear reviews and am thinking up a theme for them. I am thinking of The 12 Days of Gear Reviews and posting a new review each day. Let me know if you have any ideas. Boots are definitely a hot topic on my list this year. Having time to explore ideas is one of my favorite parts about fall. Those that know me well, know that the wheels are always turning in my head and often have a creative spin. I am hoping to get some of those creative ideas onto my blog this fall and winter and into Liquid Fusion Kayaking's adventures for 2016 and beyond.